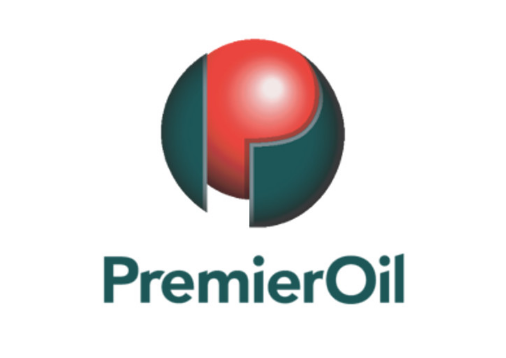 Premier Oil plc is an international oil and gas exploration and production company with interests in the North Sea, South East Asia, the Falkland Islands, and Latin America. The company’s strategy is to grow shareholder value by investing in high quality production and development opportunities while maintaining exposure to upside value from successful exploration within a strict capital discipline framework. We seek to maintain the highest standards of corporate responsibility. Culture Key to our strategy is attracting and retaining people who will make positive contributions to our operations, culture, and share in Premier’s future success. People who thrive here enjoy a flat communication structure, where all levels of employees work collaboratively on a daily basis. Opinions are sought and listened to, and the fostering of work relationships across departments and countries is encouraged. Premier is a successful and growing company. We have a vision for the future, a strategy in place and the commitment to achieve our goals. We offer a work place with diverse staff that is exciting, challenging and rewarding. This position has a wide remit range supporting projects in sanctioned execution phase whilst in addition supporting possible future developments across the business unit project portfolio. Consequently the individual assigned to the role requires an extensive range of experience from concept phase to commissioning. The individual will functionally report to the Project Technical and Construction Manager and directly report to the project phase team leader during the concept, define and execute phases. The roles primary responsibility during the execution phase of a project will be successful delivery of the associated project’s onshore fabrication workscope, to the required schedule, scope and quality requirements and supervision of the fabrication phase of the project including brownfield modifications. The right candidate will have an experience level of at minimum 10 years, gained with both Fabricators and Operators. The experience gained shall be in a similar role and the candidate shall have a strong construction engineering background and have demonstrable yard leadership skills. Min 15 years working experience in area production facility (topside and subsea) inspection, certification, maintenance and repair, and asset integrity management. Seven years supervisory experiences in multidiscipline engineer in upstream oil and gas facilities. This high profile role will set and manage the objectives for all aspects of Premier’s drilling operations in Indonesia, ensuring that activities are carried out in compliance with company policies, HSE and government regulations in a cost effective manner. Continually striving to improve the drilling team’s systems and quality of work, you will encourage and promote close working relationships and sharing of best practice with other Premier divisions and regions to ensure alignment of project timelines, and to identify value add opportunities. Reflecting Premier’s commitment to continuous improvement, you will advocate innovation whilst ensuring that project goals are delivered on time, within budget/AFE, and build a team able and equipped to deal with changing priorities. You will also be comfortable in managing stakeholder relationships, both internal (management groups, other Premier business units) and external (JV partners, government bodies). Provide support to and be an alternate on occasion to the Offshore Installation and Construction Specialist for the offshore subsea and offshore construction element of the respective scopes from procedures through to execution and fulfil the role of Premier’s night offshore Company Site Representative for all installation and precommissioning works across a broad spectrum of offshore spreads including pipelay, umbilical lay and DSVs. Working in association with the BIGP (Bison Iguana Gajah Puteri) execution phase project manager to deliver the BIGP subsea infrastructure through the Execute phase in accordance with approved baseline scope, budget and schedule components. Minimum 10 years engineering experience in the upstream oil and gas industry with proven track record of the installation of offshore infrastructure projects including pipelay, flexible riser, umbilicals, pre-commissioning and commissioning. Project development subsea installation engineering background. Proficient with engineering installation design and procedures. The Incumbent in this position is responsible to mechanical and utility maintenance in Production facilities. Maintain all mechanical equipment in the field safely and efficiently in accordance with statutory and classification society requirements. The incumbent on this role is responsible to support Sr. Mechanical Technician in maintenance of all equipment in The Offshore Field and act as member of first response and support team in emergency situation Working. Able to read engineering drawings (P&IDs, Cross Sectional Drawing). Preferable have min 4 years experiences working on FPSO, 5 years as Mechanic in Oil & Gas and Indonesian citizen. Candidate must have STRONG KNOWLEDGE of HVAC (capability to trace leaking on HVAC piping including brazing and vacuum test), Freezer, Chiller and other Cold Storage Equipment. Meet the requirement with other skills in: Generator and Control System (Turbine & Diesel Generator), Switchgear and MCC (have experience in MV Switchgear), Electrical Motor, UPS System, Hazardous and Protection System. Able to read Electrical drawings (single line & wiring drawing). Familiar with JDE, SAP, etc. Preferable have min 5 (five) years experiences in OIL & GAS Maintenance Electrical. We offer a competitive salary package, great medical coverage, and the support of an excellent leadership team. If you consider yourself as a strong and convincing personality with total dedication, we encourage you to apply for the above position. Please send your application letter, resume, and also copy certificates to: Recruitment_JKT@Premier-Oil.com for further process and mention the Job Tittle on the Email Subject. Your resume will be strictly treated as confidential and only suitable candidate will be contacted for further processing. FRAUD WARNING!! Premier Oil Indonesia will never ask applicant to pay a processing fee, ask for money or appoint any travel agent for the recruitment process. Thanks for reading Premier Oil Indonesia Jobs: 5 Positions. Please share...!